Marigold, Nasturtium, Tomato and Celery. Sow in summer for harvesting in the fall. 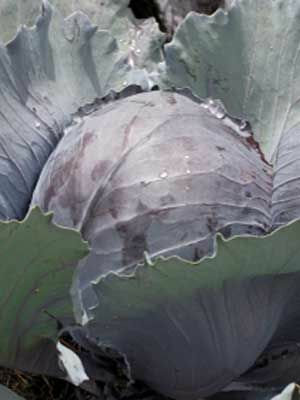 Try growing different varieties from seed to explore differences in leaf color (such as red cabbage) and head shape. Late-maturing fall cabbage varieties are great for cool storage or making into kraut. Wait until a few light frosts have passed to harvest, because cool weather enhances the sweet flavor of cabbage.